Shortly after starting a podcast with a friend he recommended to me the Bose Quiet Comfort 15 noise canceling headphones. While doubtful about wired over-ear headphones, which I hadn't worn in a decade, none-the-less I tried them out. They immediately became required equipment. Since Bose introduced the QC 15s five years ago they have become a common sight on frequent travelers in airports and train stations the world over. Now Bose has updated the line with the Quiet Comfort 25 noise canceling headphones . 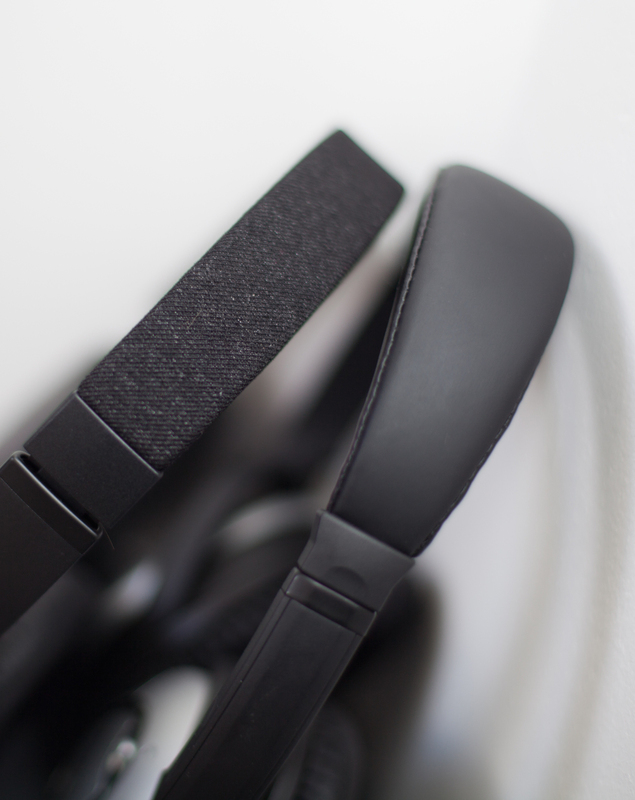 Here are my thoughts on the QC 25s after three weeks, two trains, and one transatlantic trip. You buy the Quiet Comfort headphones from Bose to distance yourself from the acoustic intrusions of the world: construction, babies, jet engines, music, traffic, babies, and babies. Take, to pick a random example, babies. Their voices designed by millions of years of evolution to be unignorable. In the confines of a crowded airplane, a single baby can tear asunder the calm and quiet thoughts of a hundred or more grown humans with a mere cry. What baby is going to pass up that kind of opportunity? There is nothing -- legally anyway -- that you can do about a screaming baby, but the Bose Quiet comfort headphones are the next best thing. Your metaphorical smothering pillow, as it were. And a pillow really is the best way to describe the effect. The noise canceling doesn't really cancel out the sounds of the world around you, as the name claims. The headphones aren't a mute, but make sounds muteed. The noise 'canceling' effect when combined with music, however, makes it easy to ignore the world and slip into isolated comfort. It works best for low constant sounds (Cabin airplane noises and street traffic almost disappear) and least well for irregular, high sounds (babies, sirens) but still makes them tolerable. Once you stop actively listening to them, the sounds slip away from your mind. I've had the pleasure of living next to construction sites for, oh, the last five years. When I first put the headphones on, I can still hear the jackhammers, but any construction work that starts after that is hard to notice. Once in this state it can be startling to take off the headphones and be plunged back into cacaphonic horror. The noise reduction is so good they need to come with a warning: these headphones are not safe to wear on the street. Sirens are still audible, but approaching cars are deadly silent. Without the ambient awareness of footsteps, people appear from behind without you noticing them in advance. If you're going to wear them on the street, even with one headphone off they can surprisingly limit your aural information. Second: the headphones still run on a AAA battery. People complain mightily and I'm baffled as to why: Running on AAAs is a huge advantage. The headphones are most needed when they can be charged the least. An 11-hour flight from London to San Francisco is no time to find yourself with dead headphones. AAA batteries are easily bought at any airport or train station in any country. Charging stations, if available at all, are the rare oasis. Even if you find one, you better hope you didn't forget to pack yet another charging wire. Bose claims the AAA battery lasts more than 30 hours -- and I believe them. Trying to run the headphones down by using them for everything all day took the better part of the week even on an old rechargeable battery. The QC 25s are ever so slightly smaller than the QC15s. Glancing at them side-by-side it's hard to see -- but Bose picked all the right places to shave millimeters. For something you wear on your head small improvements in size and weight yield an outsized increase in comfort. You can wear them at work all day. One of my biggest complaints is also removed: the QC 15s would let you know the battery was about to die with a sudden 'clack clack clack clack' sound. It was loud enough that, if I left the headphones on in the room next to my bedroom when the batteries ran down in the middle of the night the clack clack clack clack could wake me. The experience of wearing the headphones when the battery went low was… not pleasant. I have no idea who floated that terrible idea in the design meeting but I hope the near-removal of this 'feature' from the QC25s means they were fired. And hanged. I say near-removal because it took me almost three weeks to realize that the QC25s still do click, but so gently and softly it's easily missed. The tiny green LED on the side of the headphones now blinks when the battery is approaching the end of its life. Also as a plus, even without the batteries, the audio will still work (though with reduced quality and no noise canceling). As a final small point: the new look is also much improved: the QC 15 was a little cyberman in its appearance. The black and blue color scheme is both less eye-catching (good) and more pro. The phrase 'anonymously handsome' comes to mind. The Bose QuiteComfort 25s are a welcome upgrade from the QC 15s. Never step on a plane or a train without them.